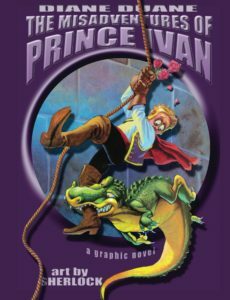 From Diane Duane, the best-selling creator of the Young Wizards books and Sherlock, the Hugo Award-nominated artist, comes this hilarious graphic novel of fairy tales gone wrong… now in a larger edition. …but not your ordinary prince with some run-of-the-mill royal destiny. When Ivan’s three sisters are married off to enchanted princes and he goes off in search of his own true love, he finds himself matched up with the sorceress and warrior maiden Marya Morevna, fairest princess in all the Russias. Shortly the two of them are navigating the emotional “white water” of one of the world’s more traumatic fairy tales — but not without help, not without high hopes of a happy ending, and not without a lot of funny stuff along the way. Prepare yourself to make the acquaintance of the Little Humbacked Horse, who just can’t get enough junk food… the Raven Prince who knows the ins and outs of the world’s strangest military equipment catalog… the terrible secret in the cellar of Marya Morevna’s palace… a whole heap of the most opinionated talking animals you’ll ever meet… all ending up in the world’s biggest fairy tale smackdown! 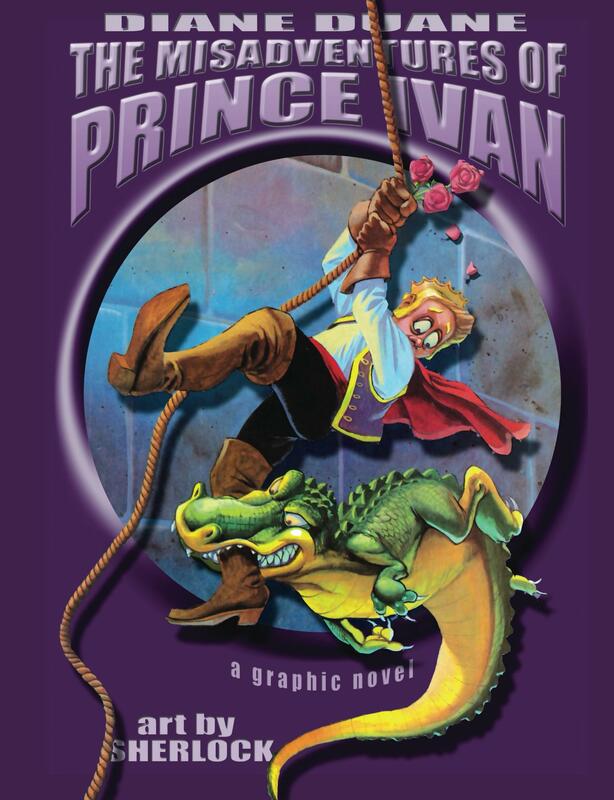 Order The Misadventures of Prince Ivan in paperback or for your Kindle from Amazon!